Havin noticed older posts.It really dont reflect they way the new management run this pub.You have to try it out to believe it.keep up the good work the both of you.great turn-a-round. Went to straford race course yesterday and what a great day we had .Stopped off at the lamplighter pub on the way there, cracking staff good atmosphere made us really welcome.Set the day up, would have loved to have gone that way back..
Closed for refurbishment and will be re-opening at the end of the week according to the notice in the window. Just one Davenports when we visited. Locals pub. A bit run down. Won't be back in a rush though. 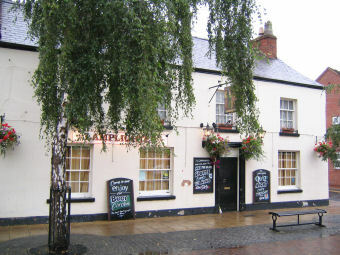 Watched the Ireland v England rugby on Saturday, pleasant enough pub with cheap Davenport's IPA at �2.40 pt good value. Some young lads were getting a noisy but were managed well by the barmaid and the lads themselves were polite and not threatening.